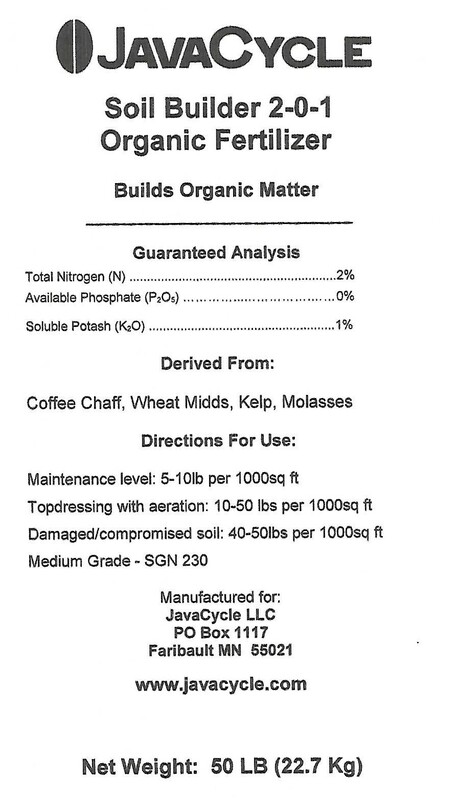 After years of testing our coffee chaff based home and garden organic fertilizers - we decided it was time to develop a line of lawn and turf fertilizers. Goal here was to ensure great performance at competitive prices and of course - a great smell. Additionally product uniformity was a must - same results from the bottom of the bag as the top. After 6 months of R&D and real world testing over the summer of 2018 with the grounds keepers at several universities and golf courses - we got it - a base line offering of 5 professional grade fertilizers. While all liked the performance and pricing - the big surprise was the great smell. The coffee connection made a great sustainability story in action and no more having to apply at odd hours or having the explain to students, alumi or club members that organics just smell bad.